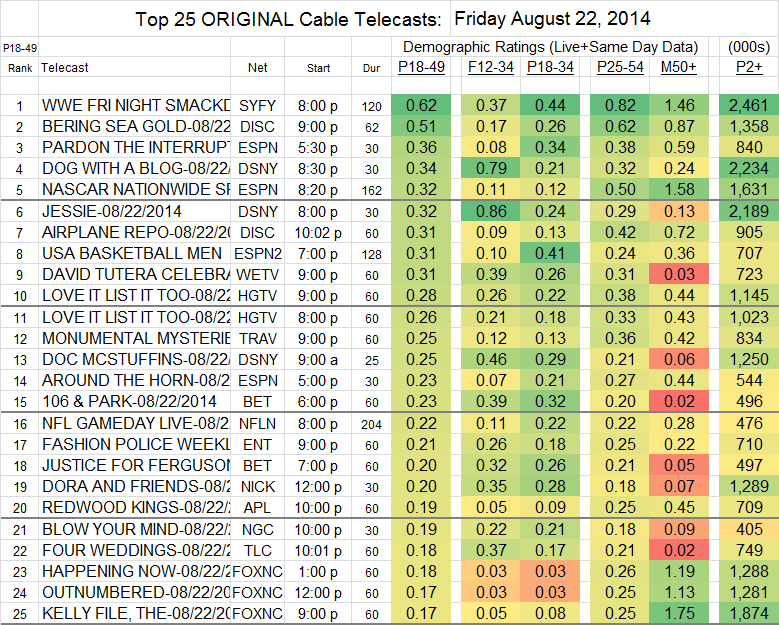 Below are the ratings in key demos for the Top 25 original cable telecasts last Friday. 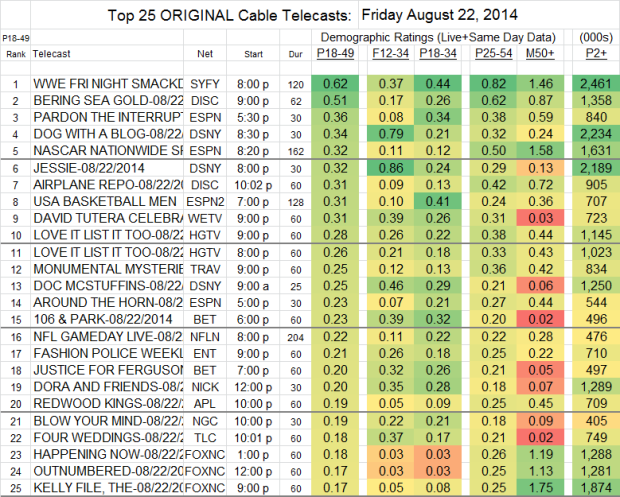 Friday cable is mostly for fans of WWE and the Disney Channel, but here are the numbers for a couple of other shows of interest: THE KNICK (Cinemax) held almost exactly with the previous week at 0.13 and 407K total viewers. JONAH FROM TONGA (HBO) made The Knick look like The Walking Dead by comparison, with a 0.05 rating in 18-49s and 91K total viewers.